Our Westland Large China Cabinet is a large, traditional china cabinet with updated features. Each made-to-order piece is built from American hardwoods. Your Westland Large China Cabinet with an open center deck can be whatever you envision. Choose the solid hardwood from which it will be handcrafted and your preferred stain or finish. Our Amish artisans will take your selections and build the china display case you design. 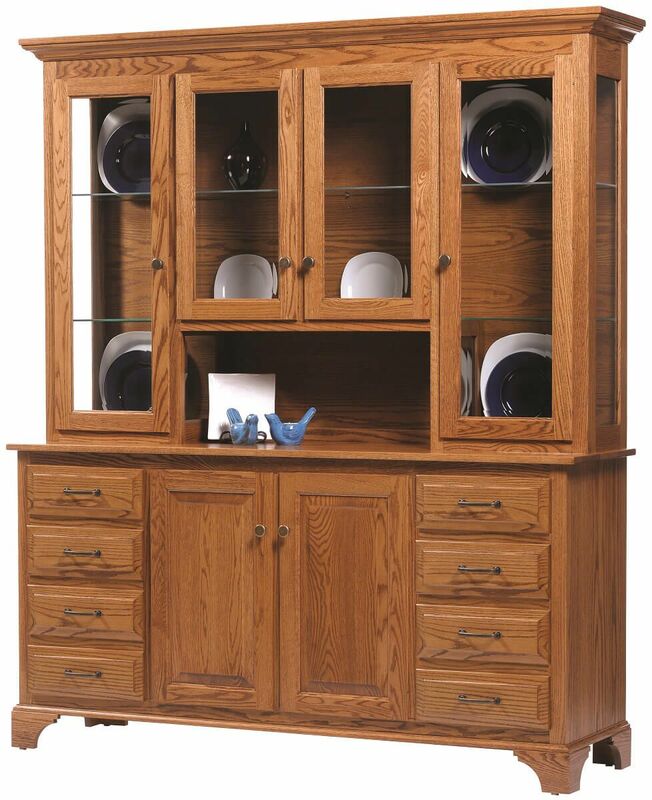 Featuring mortise and tenon joinery, full extension drawers, and touch controlled hutch top lighting, your Westland Large China Cabinet perfectly blends the best practices of expert woodworkers and the technology that keeps it useful in today's world. Make your online selections and Countryside will take care of the rest.